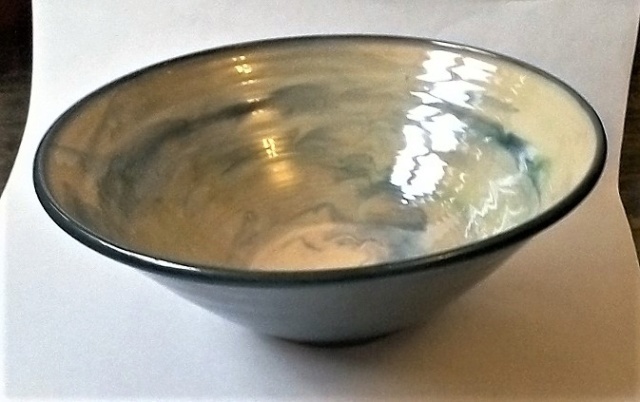 This is very large for a salad or fruit bowl - it stands 5"/13cm high and the diameter is 13.5"/34cm. Very much for a big family. I believe this is earthenware with a tin glaze. ... And its French. The 'Aout (French for 'August')' date is the give-away. A signature. I thought at first it was 'F. Debien' who is a contemporary French potter. 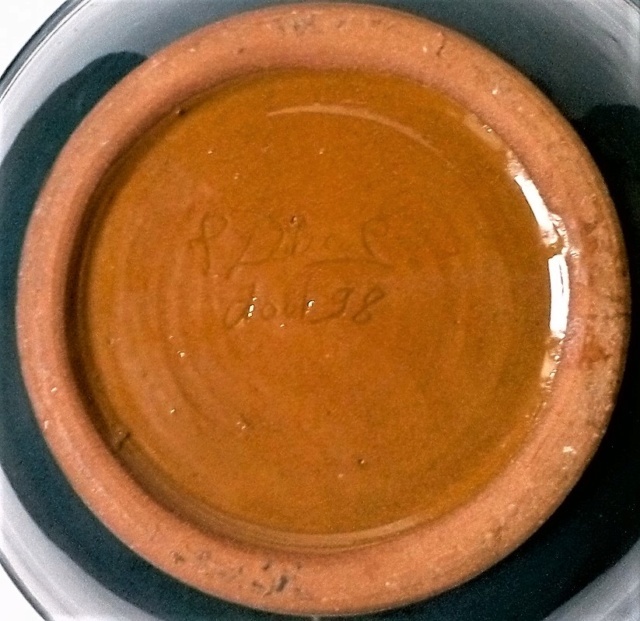 But I have only seen Debien work as stoneware, plus his signature is totally different ... so, not him perhaps. Also, the signature might include other letters ... If it IS 'Deb ...' then there appears to be a faint 'i' followed by 'e' then maybe 'a' ... followed by either a simple graphical florish, or a stylized 'l' or even an 's'. 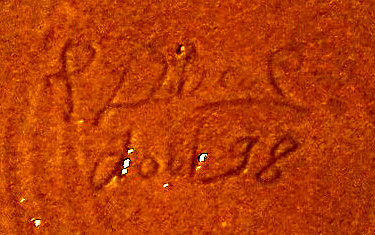 Below the signature is the date 'Aout 98'. It is a handsome, and useful, piece ... and it would be great to identify who made it. So ... can anyone reveal the maker? Here's hoping. ... And thanks for looking at this.